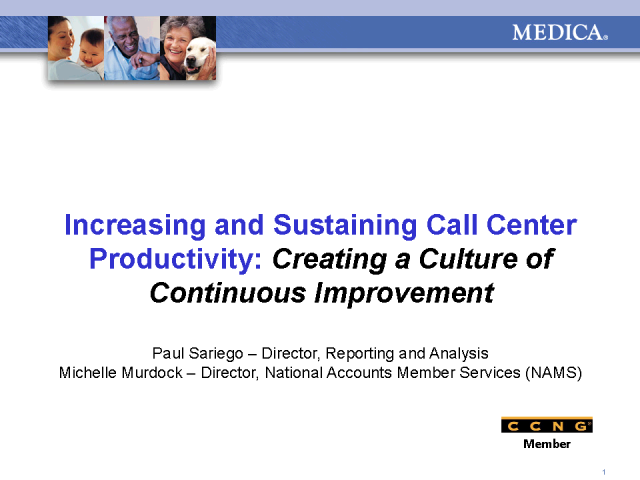 Whether it’s the recession, stiff competition or a need to create more shareholder value, many Call Centers face the same dilemma: increase productivity while improving service levels. But how do you do that? Don’t you sacrifice quality or service levels when agents are asked to “do more”? Doesn’t that hurt your reputation and drive away your best employees? Medica, a non-profit Health Insurance organization, met this challenge over the last several years and has developed both a high-performance culture and some best practices that they would like to share.